We would be happy to help you design a crane. Schmalz' jib cranes are very versatile in their use, and can be combined with a chain hoist, rope hoist, rope balancer or chain hoist with lifting device. The jib crane is attached to an existing column or wall and has a pivoting angle of 180°. The following special models are shown in pictures of an application with a column-mounted jib crane. All the special models are also available as wall-mounted jib cranes for attaching to a wall or existing columns. 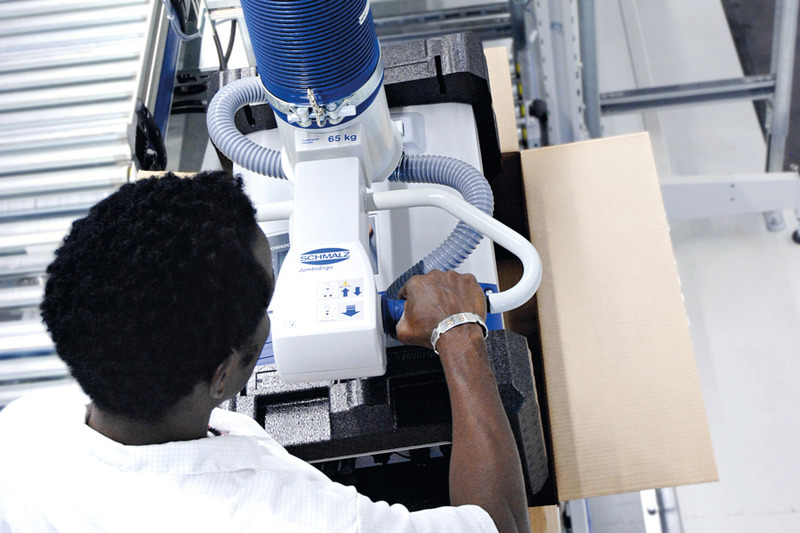 Vacuum lifting devices from Schmalz make it possible to make manual processes ergonomic. 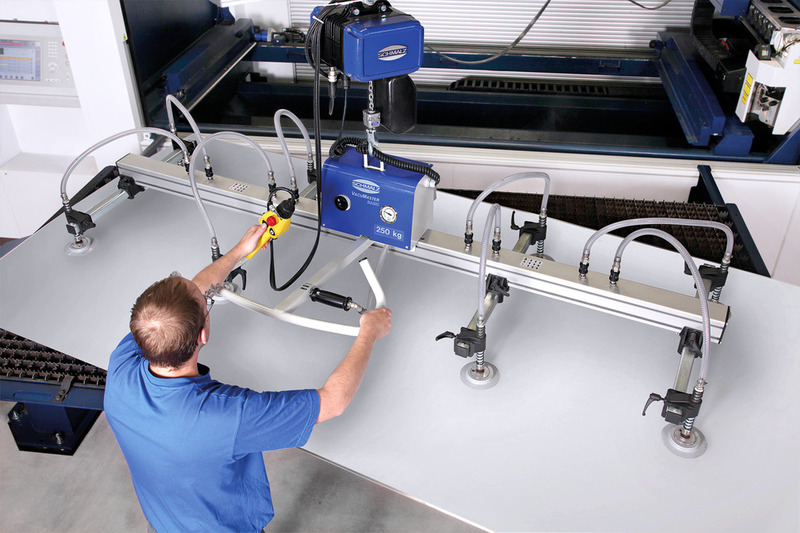 Our crane systems are the perfect addition to our vacuum lifting devices. Load capacities of the crane systems are based on the vacuum lifting devices. Schmalz divides its product portfolio of vacuum lifting devices into vacuum tube lifters of the type Jumbo and vacuum lifting devices of the type VacuMaster. Schmalz can provide you with a complete workplace solution consisting of a crane system and a vacuum lifting device.